Vrrooom, vrrooom the sound of a motorcycle cranking up. Who can ignore that powerful, authoratative sound? Motorcycle owners are a special breed. They are an exclusive club that even have their own language. Don't believe me, watch the next time two motorcycle riders meet each other on the road. Watch for the 2 fingers down to the side "hello" signal. Sometimes riders aren't able to ride their motorcycles to their desired locations, so they need a way to transport thier bikes. Motorcycle trailers are the preferred method for transportation. However, what kind of trailer do you need? There are many different types of motorcycle trailers to choose from, so here we will show you the 4 types of motorcycle trailers every motorcycle owner needs. Enclosed motorcycle trailers come in various sizes, but one thing they all have in common is that they cover your motorcycle completely. With ramps, possible side doors, and varying inside material an enclosed motorcycle trailer works well for your motorcycle when traveling through rough weather. You'll be sure that your bike is safe and sound inside the trailer. Another benefit of the enclosed motorcycle trailer is the ability to lock up your prized possessions. When traveling long distance you more than likely will have to stay overnight at various places. With an enclosed motorcycle trailer you can be certain that your motorcycle will be secure. Open motorcycle trailers are easy and conveinent. They are for the no nonsense rider. You need to get your motorcycle from point a to point b without spending too much money and an open motorcycle trailer does the trick. The trailers also come in a variety of sizes. Whether you need to tow one, two, three or even four motorcycles you can get an open motorcycle trailer to fit your needs. 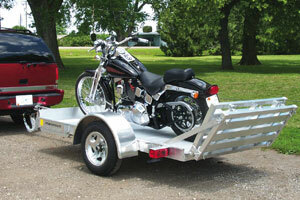 With an open motorcycle trailer you will need to have the proper tie downs for your bikes. No worries, though because we can help you find the proper equipment to go with these type of trailers. 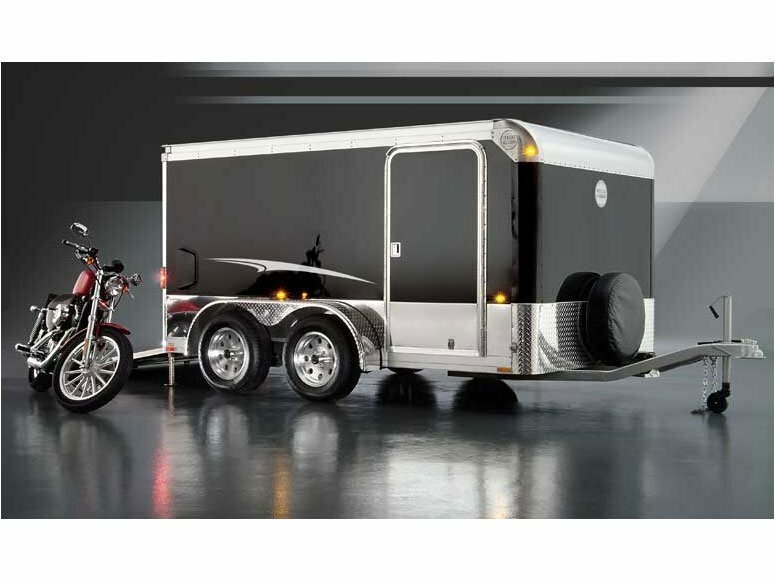 Specialty motorcycle trailers are for those motorcycle owners who want to roll in style. If you've got the money then anything in your imagination is game. 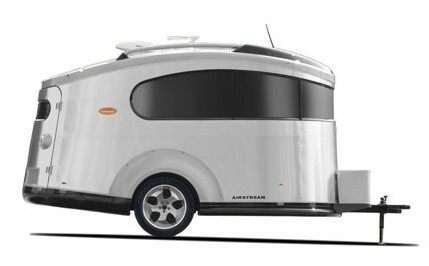 However, these types of trailers don't have to be custom made. There are many specialty motorcycle trailers that are stocked either at our locations or at the manufacturers. These trailers are typically enclosed and are classy, sleek, and stylish. Much like the picture below, you can see just how incredible these specialty motorcycle trailers are. Last but not least there's the actual motorcycle trailer. One that can be pulled by your motorcycle. When you are riding your bike there's not much room for anything else. Let's say you need to take an overnight bag, some sporting or possibly camping equipment. You want to ride your bike but what do you do? The motorcycle trailer is the perfect solution!